Strathmore, Alberta – On March 17, 2019, at approximately 3:30 a.m., Strathmore RCMP responded to a call of a male who had been shot in his vehicle. Police and EMS arrived on scene and discovered a deceased male. An autopsy was completed on March, 19, 2019 by the Office of the Chief Medical Examiner in Calgary. The manner of death has been ruled a homicide. The victim has been identified as Christian William White (24) of the Siksika Nation. RCMP Major Crimes South took carriage of the investigation, and as a result have arrested and charged two adult males. Kody Allan Giffen (22) and Brandon Daniel Giffen (25) both of Strathmore have been charged with first degree murder. Kody Giffen has been remanded into custody after a court appearance and will be appearing in Starthmore Provincial Court on April. 2, 2019. Brandon Giffen remains in custody with a court date yet to be determined. As this matter is now before the courts no further details will be provided. Strathmore, Alta. – The RCMP’s Major Crime Unit (MCU) and Strathmore RCMP are currently investigating the death of an adult male. 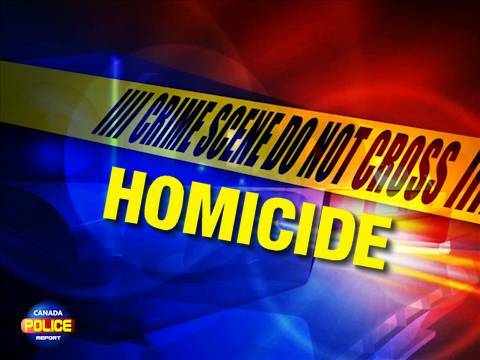 This morning at approximately 3:33 a.m. police responded to a report of a deceased male near Highway 817 and Highway 22X in Strathmore. MCU have now assumed carriage of the police investigation which is in its preliminary stages. No further details are available at this time. An update will be provided when more information becomes available.